Before applying for a nurse manager role, it's important to know the ins and outs of theposition. While most nurse managers rarely care for patients directly, they still impact patientsby supporting the nurses and doctors who interact with them daily. Wearing many different hats, the nurse manager's role includes being responsible for the recruitment and retention of the nursing staff, as well as liaising between the nursing staff, healthcare facility and physician groups. Not only must nurse managers collaborate with doctors on patient care, and help assist patients and their families when needed, they also keep pace with technological advancements, understand and follow current regulations and adapt to new laws. Knowing what's expected of the nurse manager role and landing the interview is just the beginning. The next step is preparation. 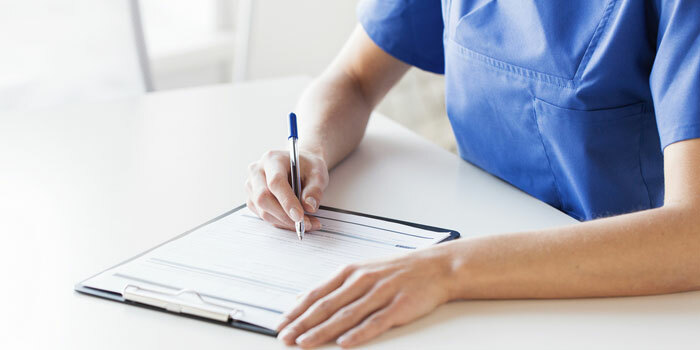 This is where researching questions that typically arise during nurse manager interviews and taking the time to formulate a few examples that showcase your experience and expertise can really pay off. Most interviews will consist of two types of questions: leadership and character-related. Leadership questions will focus on your background and experience, and will provide insight into how your past roles will benefit the current nurse manager position. The interviewer will also want to dive deeper into your character by asking behavior-based questions, as past behavior is indicative of how you will perform on the job. Character-related questions focus on specific examples or hypothetical situations. These allow you the chance to point out how you have or would effectively handle similar situations that may occur. How would you handle a patient who is upset and making a scene? How have you handled dealing with an angry or upset doctor? Describe an emergency situation where you had to think and act quickly. Is there anything you would do differently? Ask a trusted friend or family member to go over each question with you and provide a critique at the end. While you may be nervous, it's important to control the way you react to the questions: sit up straight, think about your answers and respond calmly at your own pace.Thinking of specific examples and rehearsing your responses out loud ahead of the interview will help you feel more confident and can elevate your interview, standing out from other potential candidates.